American 787 Order Strikes another Blow to Airbus in U.S.
An order from American Airlines for 47 new Boeing 787s announced April 6 dealt a blow to Airbus’s efforts to boost its A350 XWB family's presence in the U.S., as AA and the European manufacturer agreed to terminate an order for 22 A350s originally placed in 2005 by US Airways. The order with Boeing consists of 22 GEnx-1B-powered 787-8s and 25 787-9s, scheduled to begin arriving in 2023. Plans call for the 787-8s to replace American’s Boeing 767-300s, while later 787-9 deliveries replace Airbus A330-300s and aging 777-200s. The development marks yet another U.S. marketing victory for Boeing over Airbus in the fight pitting the Dreamliner against the XWB and A330neo. Last month Airbus lost its only order for the smallest of its A330neo line, the A330-800, when Hawaiian Airlines confirmed its intention to buy 10 Boeing 787-9s and drop an order announced in 2014 for six of the Airbus widebodies. 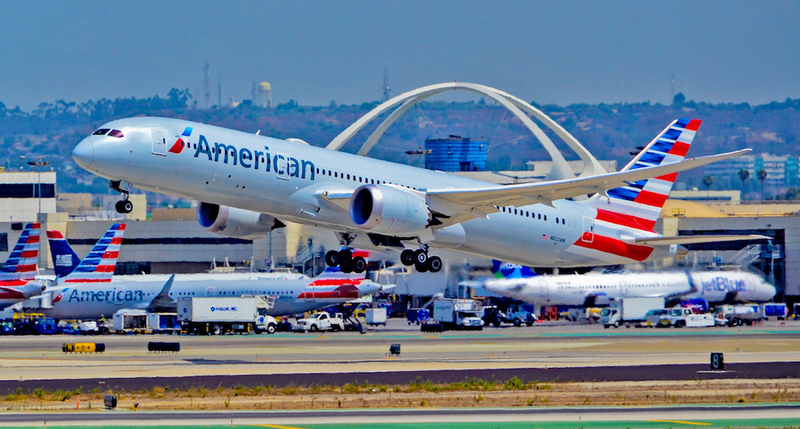 American now flies a fleet of 35 Boeing 787s. Once it takes delivery of all its 787s under a previous order and those announced on Friday, its fleet will consist of 89 Dreamliners. “Today’s announcement is influenced by our goal to simplify our fleet and reduce the number of aircraft types we operate,” said American Airlines CFO Derek Kerr. “Our prior plan would have had us operating five widebody aircraft types, and with today’s announcement we will soon reduce that to three. As part of the latest order, American also reached an agreement with Boeing to defer delivery of forty 737 Max narrowbodies previously scheduled to arrive between 2020 and 2022. According to American, the revised delivery schedule will better align with planned retirements of other narrowbody aircraft.